Ravi Katpadi earns Rs 450-550 a day. But by dressing up for Janmashtami, he has raised over Rs 15 lakh for kids who can't afford to pay for their treatment. 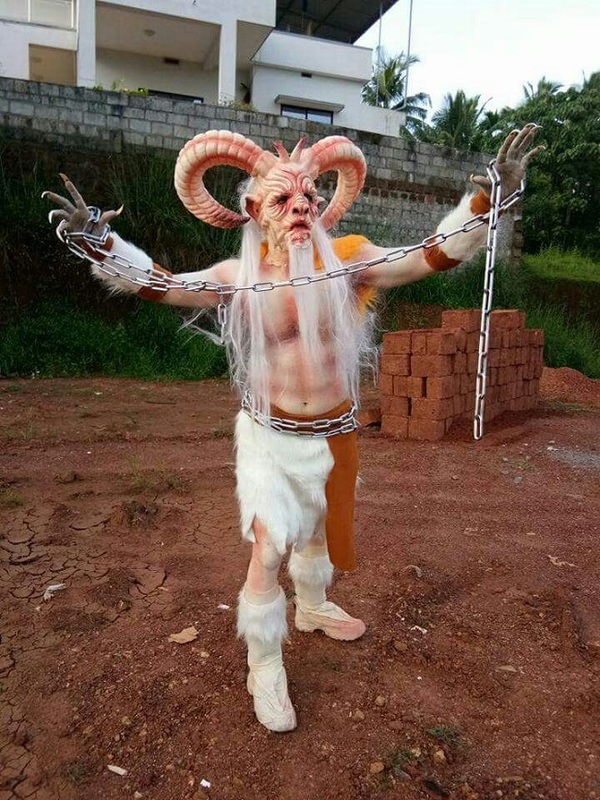 Once it was a faun from Guillermo del Toro’s wildly popular movie Pan’s Labyrinth, another time The Lizard from The Amazing Spider-Man, and one more year, it was Krampus, the half goat-half demon of Central European folklore – come Janmashtami, the coastal town of Udupi is witness to fabulous creatures strutting down its streets. 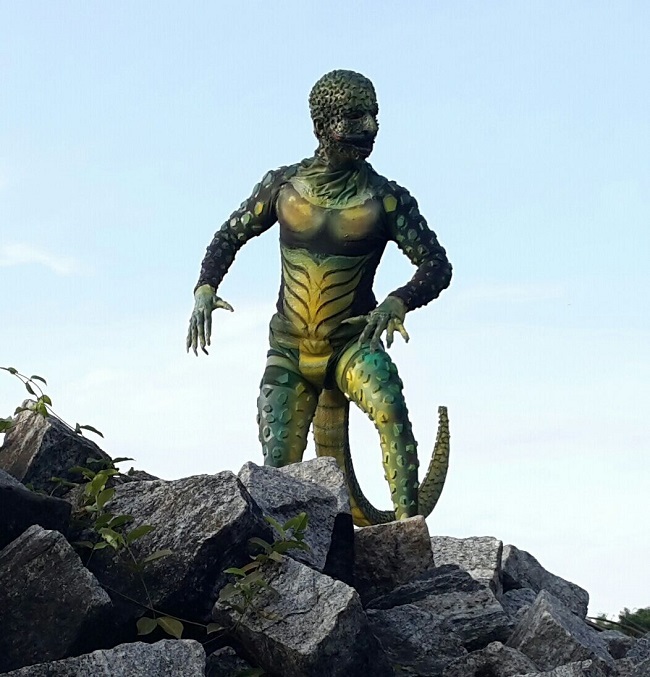 And for the last five years, Ravi Katpadi has held his audiences in thrall by dressing up as a different creature every year. And what does he do with the money he earns this time of the year? He pays for the healthcare of those in need. The 35-year-old, a daily wager who works in construction, has donated nearly Rs 15 lakh since 2013 to children in need of money for cancer treatments, to heart patients, eye patients and those suffering from skin diseases. 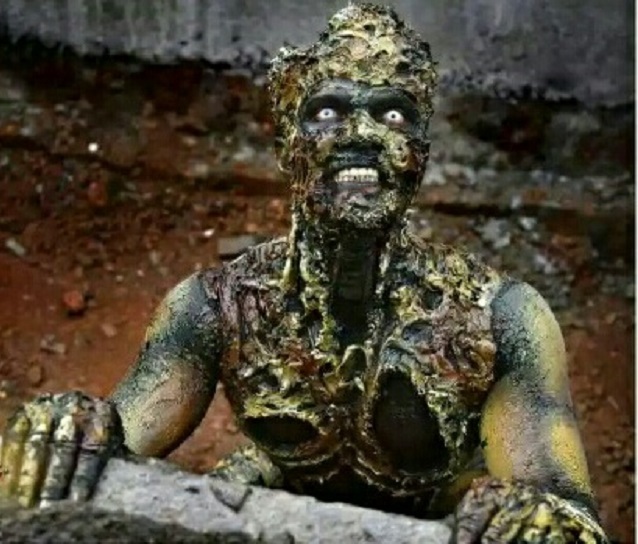 Inspired by Hollywood artwork, this year too Ravi dresses as an ‘Amazing Monster’, and went from door-to-door in the district to collect funds. He has several teams helping him -- one looks after his creative artwork, one takes care of logistics and one to look into the causes he can donate to. “A lot of work goes into the costume to make it look as attractive as possible, thus drawing attention to it,” says Suchith, a member of his team. However, in the process of raising funds of those in need, the repeated application of oil paint on his skin has taken a toll on Ravi. His skin has several ruptures and is quite severely damaged. This year too, he has identified four children who need his help. One child, aged just 2, suffers from blood cancer; the other, who is just under 3 years old, suffers from thalassemia. While two other children, aged 10 and 13, are suffering from leg-related and kidney ailments respectively. “Growing up, I saw a lot of struggle and hardship. It’s painful to see children suffer, which is why I continue to support or provide for them,” he says. Ravi, who has studied till Class 9, earns Rs 450-550 a day. However, he has managed to contribute staggering amount of money each month. In his first year, he contributed over Rs 1 lakh; this then went up to Rs 3,20,000 the next year; the next year, he contributed nearly Rs 5 lakh, while last year, he contributed a little over Rs 5 lakh. Until last year, Ravi only collected funds from the residents of Udupi, but this year he has reached out to folks from Udupi living abroad. “The cost of treating thalassemia alone is Rs 27 lakh; therefore, we felt we would require more funds this time. Using WhatsApp and other social media, we have spread word about what Ravi does and we are anticipating more contributions,” said Suchith.